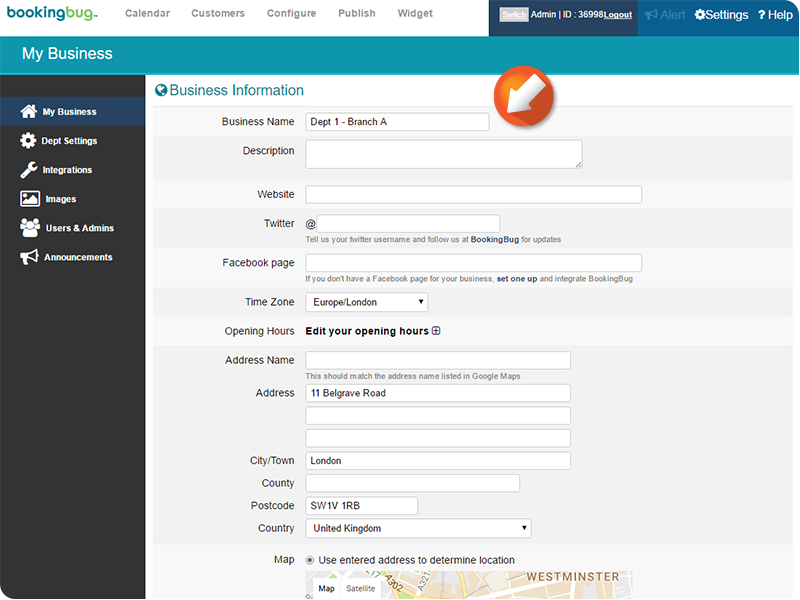 Enter the desired Business information into the Text fields as desired. 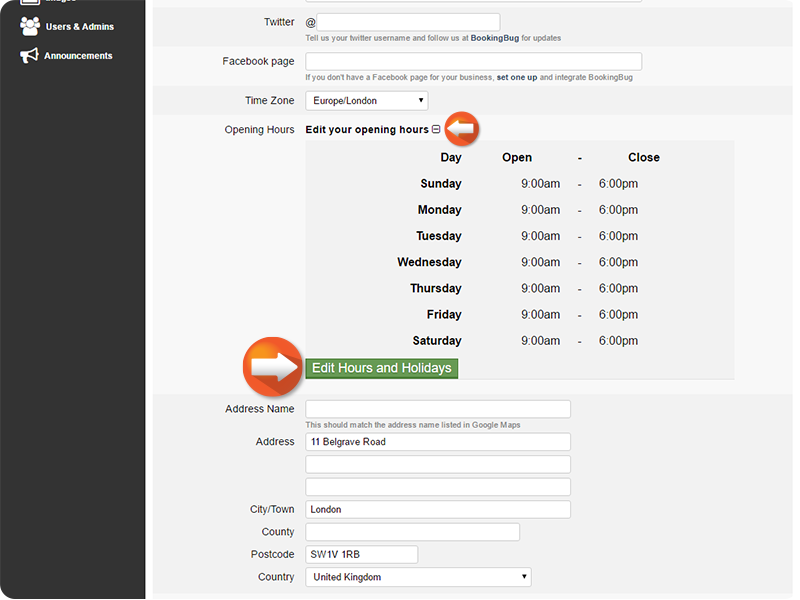 To edit Opening Hours, click Edit your opening hours. 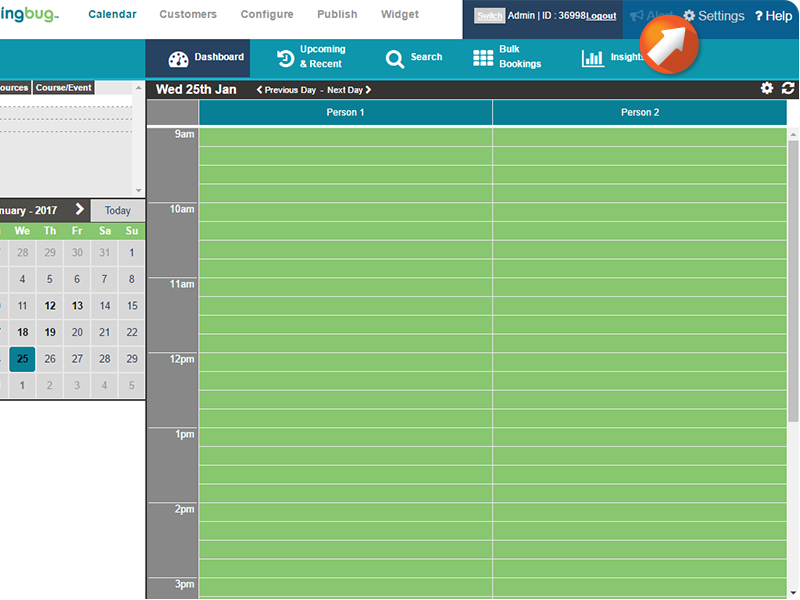 Click Edit Hours and Holidays. 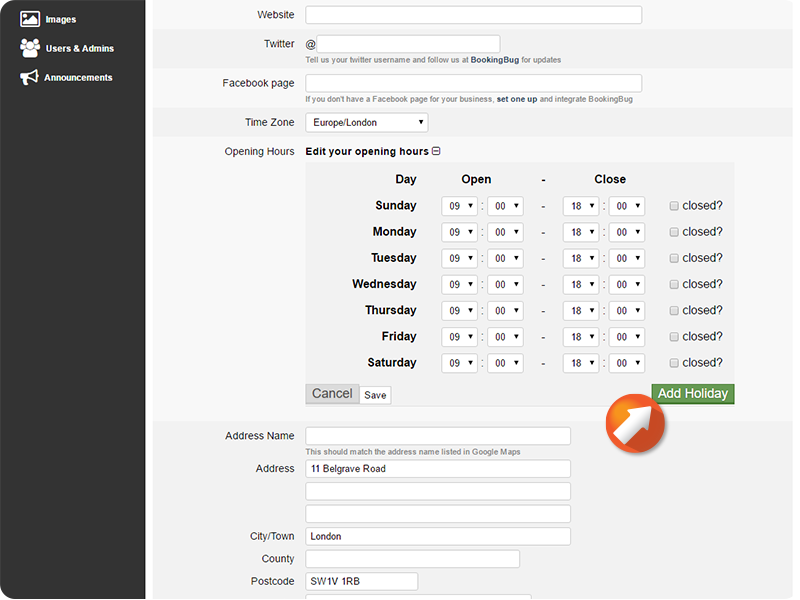 Click the Dropdown menus to select the desired opening and closing times for your Business. 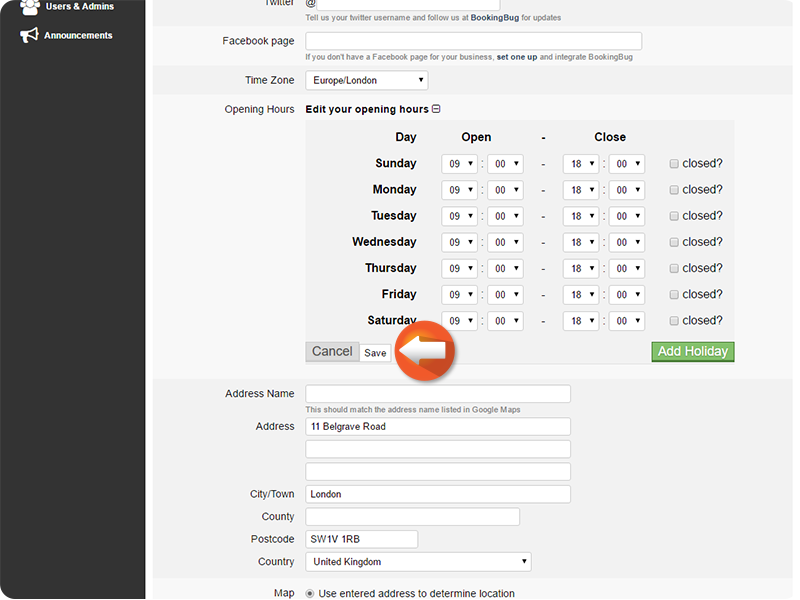 Click Add Holiday to add Holidays as desired. 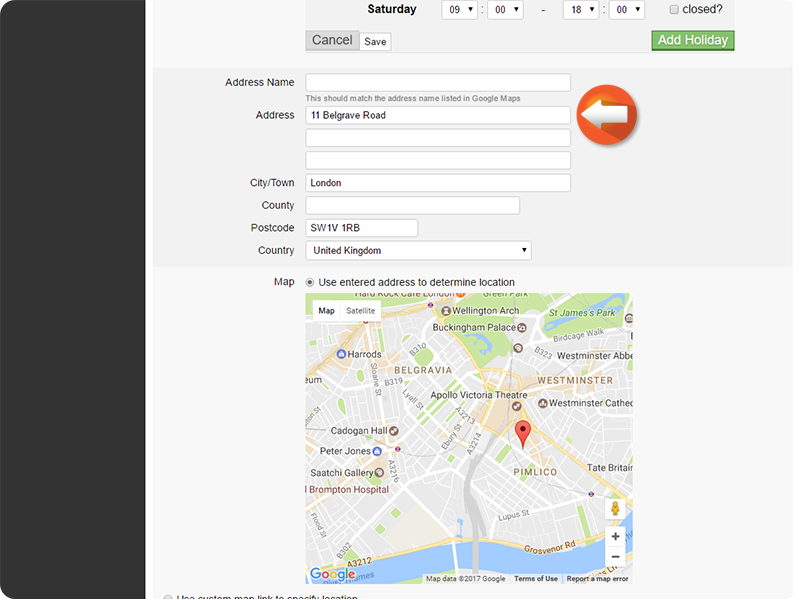 Enter the desired Business address or use the Google Maps link to select an address. 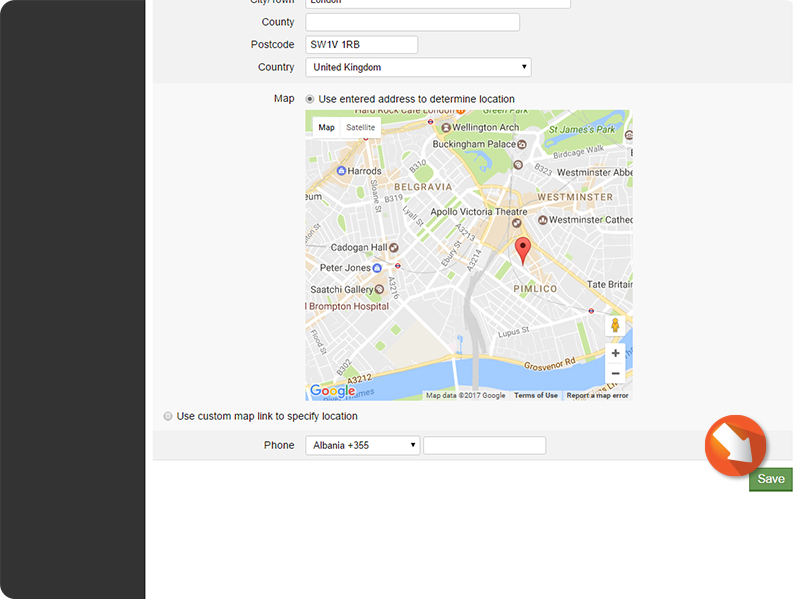 Edit additional Business Information as desired, then click Save. 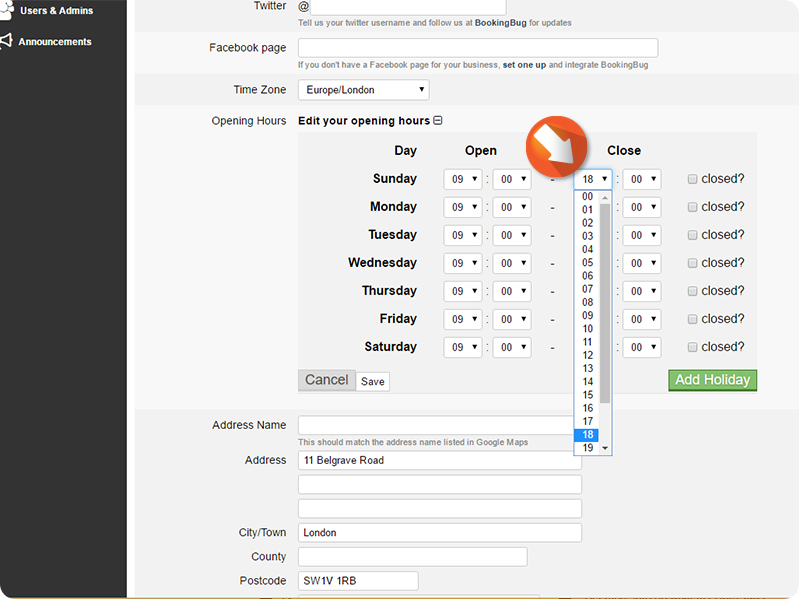 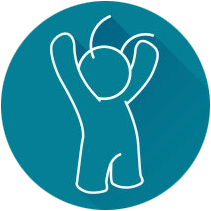 To adjust the Business Settings of a specific area of BookingBug, click the desired Sub-heading from the Settings menu.